In the wake of Donald Trump’s election, many groups in the U.S., including African Americans, Muslims and women, are feeling scared and uneasy. Trump, who has said he would ban all Muslims from entering the U.S., made sexist and insulting comments about women and racist comments about people of color in America, is a frightening prospect for many Americans who believe he is unfit for office. So while protests rage on across the country, one movement is using a simple yet powerful symbol to show their support for anyone who is fearful of what is to come. And as we’ve been dismayed to find out in the days following Trump’s election, it appears that there is reason to fear. People across the country have shared stories on social media of violence and hate speech directed at them in the wake of Trump’s victory. Racist graffiti was spotted around the country and minorities reported experiencing harassment the day after Trump was elected. 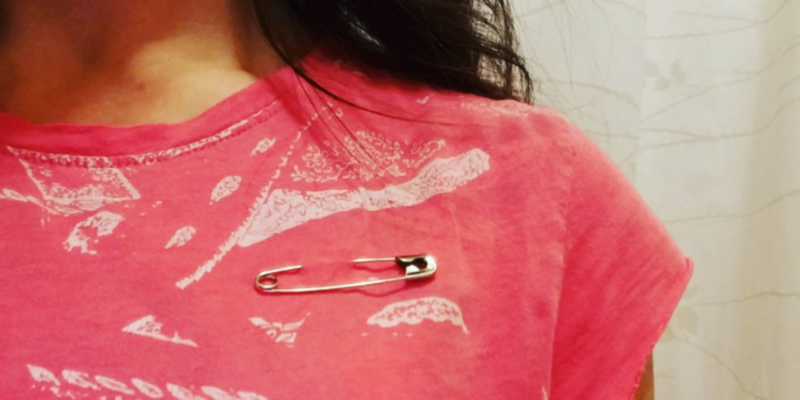 These frightening instances illustrate why the #safetypin idea ― which was inspired by a movement following Brexit in the United Kingdom ― is so timely. It’s a tiny gesture, but it speaks volumes, assuring people they are not alone. And the movement seems to be catching on. Americans are posting photos of themselves on social media, declaring themselves “safe places” and showing support for women, people of color and other marginalized groups. I think that with all the looting, assulting Trump supporters, intolerance and racism coming from the liberal democratic side, those that support democracy should be wearing the pin.